Chase Resource was founded in 2006 to begin with initially in Singapore and then Houston to mainly supply drilling related equipment’s and consumables to Contractors well placed in ASEAN – to – Middle East region. 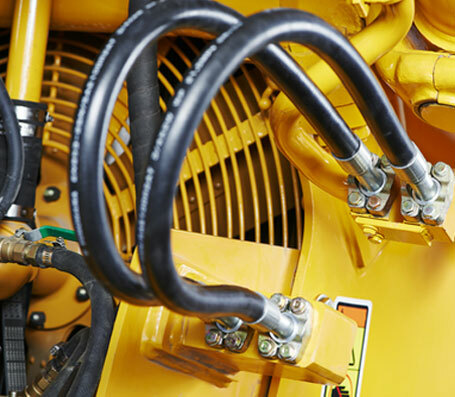 Through all these years the Company has been associated with all major Contractors and Original Equipment Manufacturers (OEMs) of repute by providing round-the-clock service & support during times of extreme urgency. The recent inclusion of an office in Jebel Ali complete the Company’s presence in the key considered Oil & Gas hubs and well placed to develop the business into now the Middle East region too. Chase Resource is an ISO 9001: 2015 Company and IADC Member & also part of different Supply Chain groupings & initiatives that enables it to provide Products & Services to Customers on a 24 x 7 basis and meet cross-border challenges associated with Shipments. In recent years and especially the past decade, Chase Resource has come of age and specialized in the area of Non-Welded Piping projects. End-Users mainly from Industries such as Petrochemical, Offshore and Marine, Shipyards, Automotive, METAL, and Infrastructure Developers like METRO Rail / Underground Networks etc., are moving from the traditional methods like Welding towards Non-Welded Technologies, which are mainly Safe, Clean, Easy and Fast to implement. This apart from providing Environmental and Health benefits is seen more of a reliable solution. Chase Resource specializes in such Non-Welded Projects encompassing Design & Engineering, Installation, Pressure Testing and Flushing Services, etc., as a turn-key solution provider working alongside some of the leading Hydraulic OEM suppliers to above Industries. They are the Authorized Distributor and Installers for Tube-Mac Piping Technologies Ltd., of Canada and are now remodelling itself as a full-fledged M & E Contractor for the immediate future. Clean Technology, Safe World - is the Company’s Vision for the future as more and more Organizations are adopting Cleaner technologies to manage the Environment and Workplace challenges & related obligations. The Company wants to closely associate with OEMs which are continuously offering Cleaner and Safer solutions to Industries, which is where the future lies. Chase Resource wants to be the Company that Industry can turn to for offering highly reliable solutions that will meet its business requirements and also fall back as a trusted service partner. It wants to win the trust of three important elements of any business – Customers, OEMs and most importantly Employees.